A lot can change in 15 years. A lot has changed in 15 years. Social media websites like Facebook and Twitter have become an everyday part of life for most Americans. The hybrid car has gone from design-floor dream to viable option for the average person. And cut protection for your hands has gone from one single option to many. 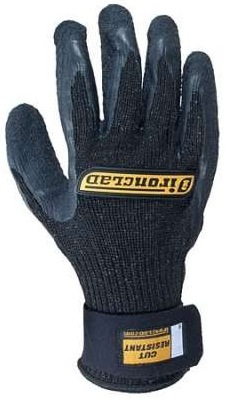 In 1997, para-aramid was the fiber for cut-protection gloves. This yellow fiber wasn’t just a valuable asset for workplace protection of your hands, it was the only valuable asset for workplace protection of your hands. But like social media sites and hybrid cars, times have changed. Now, even though para-aramid continues to be an industry leader, the alternative options have exploded. Today, new ideas, new formulas and new technologies have brought about a new era of better protection at a lower cost. New fibers such as polyethylene, ballistics-grade nylon, high-performance synthetics and upgraded para-aramids are now available. And what once was only available in either open-end yarn or basic ring-spun design has given way to dozens of different styles – with multiple fibers and filaments and yarn constructions. Today, fiberglass and stainless steel are now used in the yarn made to make cut-protective gloves. This results in gloves which are more comfortable and protect better, but are also lighter and less expensive than those of the previous generation. Businesses that 15 years ago could simply not afford the costly para-aramids can now provide their workers with cost-effective protection. This not only cuts down on costly worker compensation claims, but provides a better overall working environment and more productive employees. Quite simply, there are now a flood of options out there which can be tailored to task-specific needs: Seamless-knit, flat-dipped, sewn-on, cut-and-sew, reinforced, fully-lined and more. Cut-protective gloves are more effective, comfortable, and cost-effective as a result of these new options. Testing methods and standards have also improved. No longer does dragging a box cutter across your gloves on the floor of your shop have to be the means by which you determine a cut-protective glove’s viability. Scientific processes are now used to measure each glove’s and fiber’s protective qualities, and based on these testes, each are now assigned a rating so that different gloves can be compared. We owe it all to the advancement of technology. It’s crazy to think about where we’ll be just 15 short years from now. The cut-protective gloves we use today are a direct result of the gains and discoveries made by businesses’ research and development departments. It’s exciting to think about what they have in store for us in the future. Get your cut-protective gloves and workwear at Workingperson.com.